D.L. Sanborn Concrete Construction takes great pleasure in welcoming you into our growing Family of Customers! We wanted to take the time to let you know a little about our business. 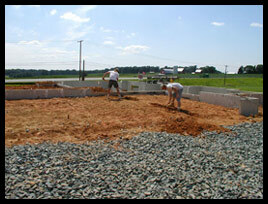 We are your local Maryland concrete contractor servicing Baltimore, Cecil, and Harford counties in Maryland. D.L. Sanborn Concrete Construction, Inc. has been in the concrete construction business since March 15, 1972. We are qualified in most counties in Maryland as well as Baltimore City. Together we have power brooms, nine bobcats, backhoes, and other assorted concrete construction equipment ready and available to assist you with your building needs. All of our trucks are equipped with two-way radios. Each foreman is supplied with a Nextel phone and our office is staffed with a real person to answer your calls. 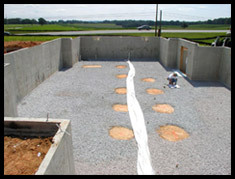 We are a Maryland concrete contractor that meets your needs. We constantly add and modify our equipment to provide better services and save our customers time and money. D.L. Sanborn Concrete Construction is committed to providing solutions to our customers' problems. We put the material where you want it, when you want it, and we do it safely. Our business prides itself with meeting customer expectations. We service Harford County, Cecil and Baltimore counties in Maryland.